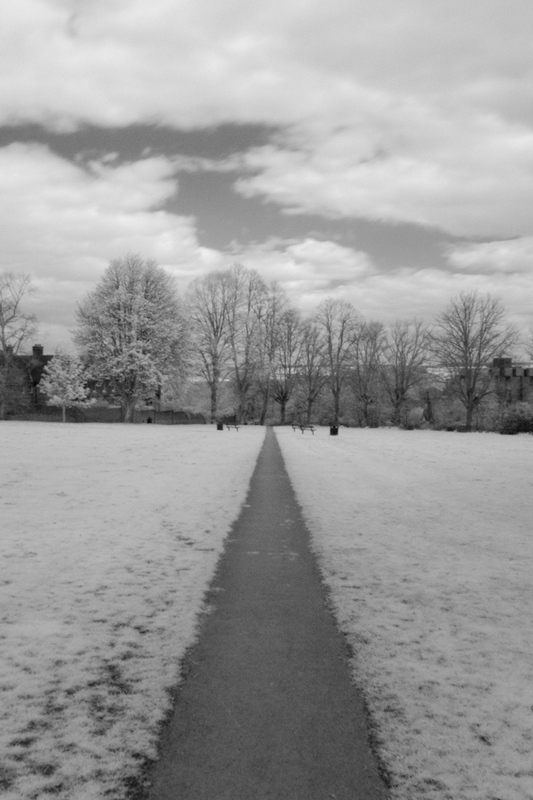 I recently bought an IR filter in order to experiment with IR photography. 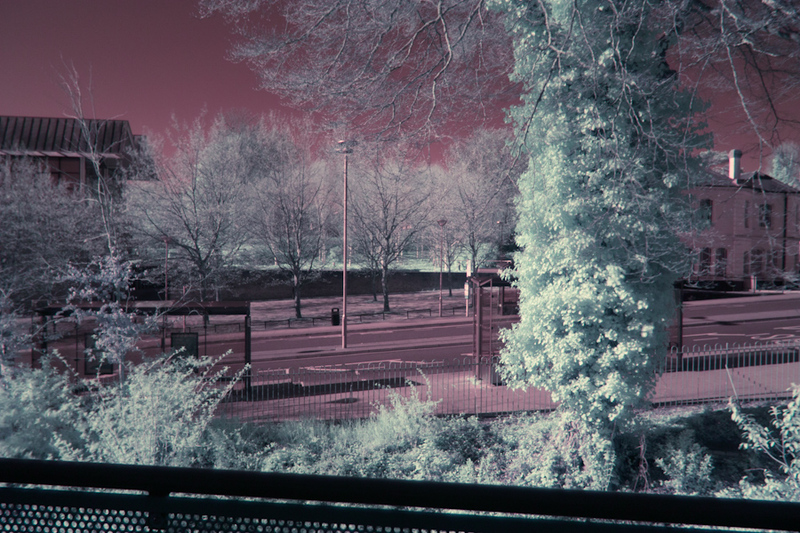 The Green.L 760nm IR filter from amazon marketplace. Today with the sun out, I decided to give it a go. 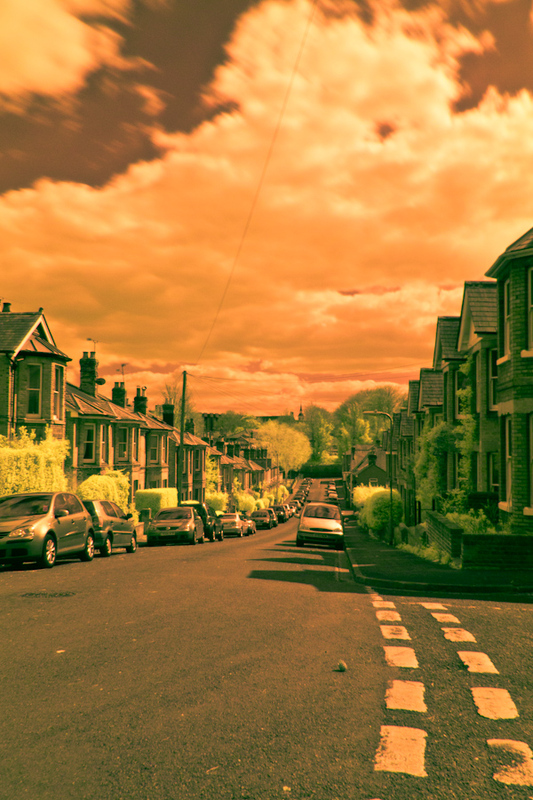 What makes IR photography different? 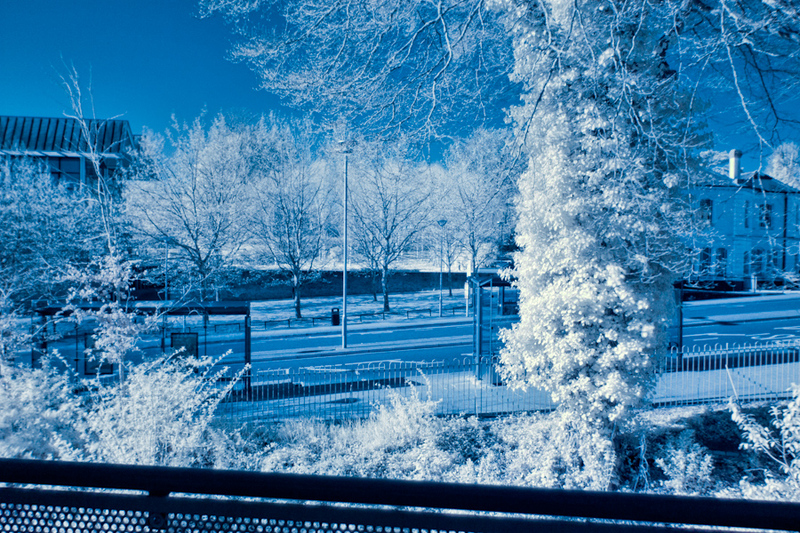 By blocking visible light with the lens filter, you allow the camera to pick up normally invisible Infra-red light. This 'new' light makes grass and leaves show up bright white explaining the snowy appearance of the photos. As a result of blocking all the blue, green and almost all of the red light, the photos are technically monochromatic (one hue). The images appear red and white directly from the camera. With channel mixing you can swap the red and blue making the images look a little more natural. Alternatively you can go down the faux colour route, making up your own colours for everything! 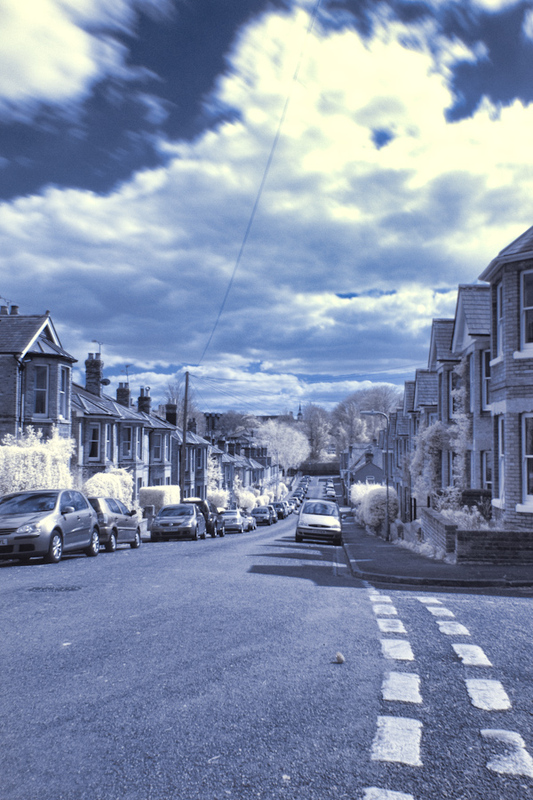 I created some Adobe Lightroom presets for the two faux colour shots, Lightroom IR Presets. Gallery also viewable on Flickr.